When most people think of the library, they think of long shelves of books, tidy reading nooks, and librarians with glasses on their noses; they don’t often think of games. However my boys and I have a lot of fun in our library by planning a few fun activities ahead of time. I do remind my boys that we need to play games quietly and be careful not to disturb others by running or being boisterous. 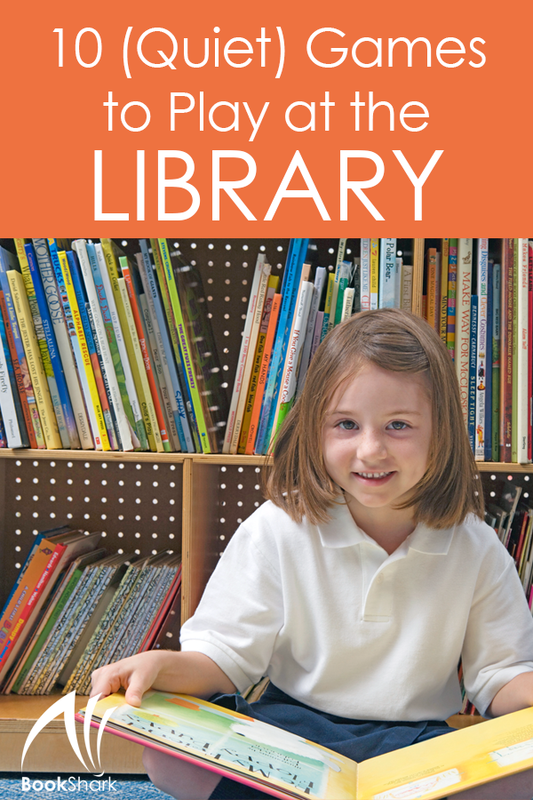 But being quiet and courteous does not rule out enjoying ourselves at the library with these ten activities and games. We’ve done a few different scavenger hunts through the years, and my goal was to help them realize all that our library has to offer while playing a game. One morning the boys and I spent a few minutes writing encouraging messages on decorative squares of paper: “I hope you have a nice day” or “I hope you enjoy this book.” Then we spent a few minutes scouring the library for some of our favorite books. We stuck the messages inside and hoped that the next reader would enjoy finding them. My kids love the game I spy, so it was a natural choice for a library game. Find a location in the library where a lot of book covers are showing and you can talk quietly. One person looks around and mentally selects a book. Then he offers clues while the others guess. The rest of us would try to guess what book they had chosen. It was a great way to get us looking at new and unusual books while honing our observation skills. Compile a list of book titles and have the kids find the author of the book. This game helped my kids learn to use the online card catalog to find specific books in the library. Draw up a large blank tic tac toe board for each of the kids. Before arriving, have them fill in each section of the board with the title of a book and the author (if they know it). Once at the library have them search for the books. If the books are available at the library, they can put an x in the box. If the book is checked out, they put an o in the box.They win if they get three x’s or o’s in a row. Pick a book category like skunks or dinosaurs. Then have your kids find a nonfiction book about that topic and challenge them to write down the first word or sentence they see on the tenth page of the book. There are two variations to this game When my kids were younger, I’d write all the letters of the alphabet around the edge of a paper plate and make small cut marks between the letters. Then I challenged them to find each of the letters on their plate in the library. When they find a letter they fold the letter out of sight. The game ends when all the letters have been found. For older kids I challenged my boys to find a book title or author for each letter of the alphabet and fill in an alphabetized list. This version often required a few trips to the library to complete. Pick a random stack of books, and have your children work to put them in alphabetical order. We typically do this on a small table with a selection of books we plan to check out anyway. That way we aren’t making extra work for the librarians. Write a list of non-fiction books by title and have your children write down the Dewey Decimal number once they find the books. Sometimes I pick titles of the same topic so they can see how they are arranged and put in order by number all the way to the hundredths. Other times I make sure to use vastly different subjects to get them moving throughout all the non-fiction shelves. Practice map drawing skills by mapping out the interior of the library, labelling all the different parts. The upside to all of this fun is that my boys are also learning how to use a library at the same time. I want my boys to associate the library, books and reading with fun and enjoyment, so playing these simple games at the library keep their moods upbeat when we visit to checkout or return books. Joanne Rawson is the author of the blog Our Unschooling Journey. 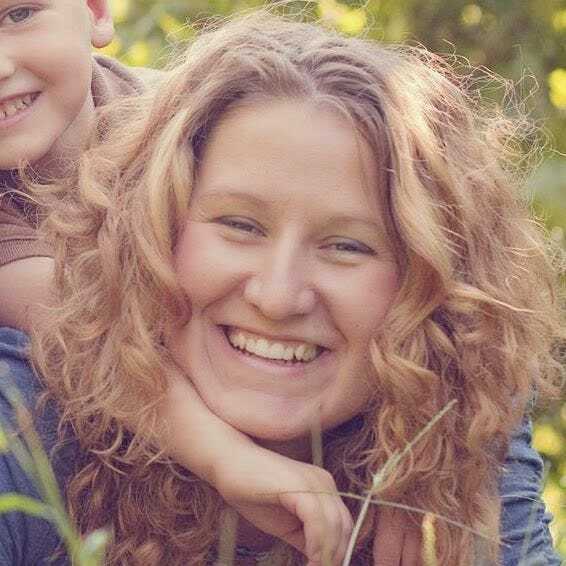 Known around the web as Mother of 3, Joanne began her blog when she first started homeschooling her three boys in 2012. She lives in Connecticut with her family and enjoys reading, crafting, and travelling... all of which usually ends up on her blog.